Are you worried about the pain involved in a vision correction procedure? It’s an understandable concern. The good news is, you probably won’t feel any pain, either during or after the procedure. What happens during surgery? What type of anaesthetic is used? Whichever type of laser eye surgery you opt for – whether that’s LASIK, LASEK or PRK – the procedure to numb your eyes is the same. 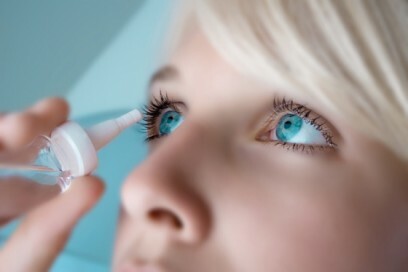 Eye drops containing an anaesthetic solution are applied to the surface of the eye, with just one drop sufficient to block out all feelings of pain for the time it takes to operate. They get to work within seconds, so you’ll already be numb before surgery begins. While there’s absolutely no pain, you may feel a sensation of pressure as the surgeon works on your eyes, but while this may be slightly uncomfortable, it won’t hurt. What about recovery? Is the healing process painful? For most people, it’s similarly straightforward, and pain-free. Some patients do experience slight discomfort in the days immediately following laser eye surgery, and if this affects you, eye drops can provide pain relief while your eyes recover. You may possibly experience dry eyes, which can be treated with artificial tears. It’s all very well for health professionals to talk about how simple a procedure is, or that you won’t feel any pain, but it’s often more convincing (and reassuring) to hear the experiences of other patients. “The laser eye surgery was really quick, completely pain free and before I knew it, I was lying on the couch in a quiet room already able to see better than I ever remember,” remembers Roseanne, who recently underwent LASIK surgery at Allon Barsam’s clinic. “[It] felt like a cup was being pushed down onto the eye ball and, whilst this was the most uncomfortable part of the procedure, it didn’t hurt but felt a little odd,” reflects another patient, speaking about the stage in the LASIK operation where the eyeballs are prepared for laser treatment. “There is no pain whatsoever and there’s music in the background aimed to make me relax… The moment the flap is lifted and your eyes lose focus I think is the worse part. But within seconds everything is normal again,” says Jenny, who also chose Allon Barsam for LASIK laser eye surgery. If you’re nervous about laser eye surgery, you’re not the only one! To discuss any fears or anxieties about going ahead with laser eye surgery, or just to get the ball rolling, why not book a consultation with Mr Barsam? Call us on 020 3369 2020 or fill in our booking form. Copyright©2019 Ophthalmic Consultants of London. All rights reserved. All trademarks acknowledged..